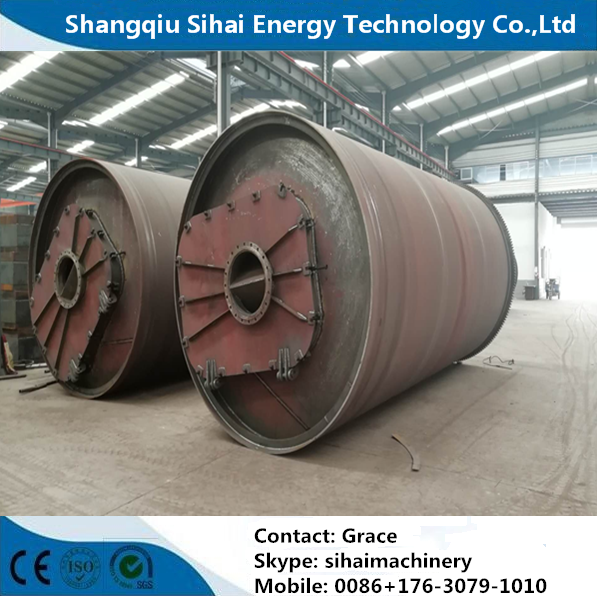 First, the raw materials are put into the reactor, and then seal the feeding in door, later start the machine and the reactor will be rotating and heated by coal, natural gas, wood or electricity. 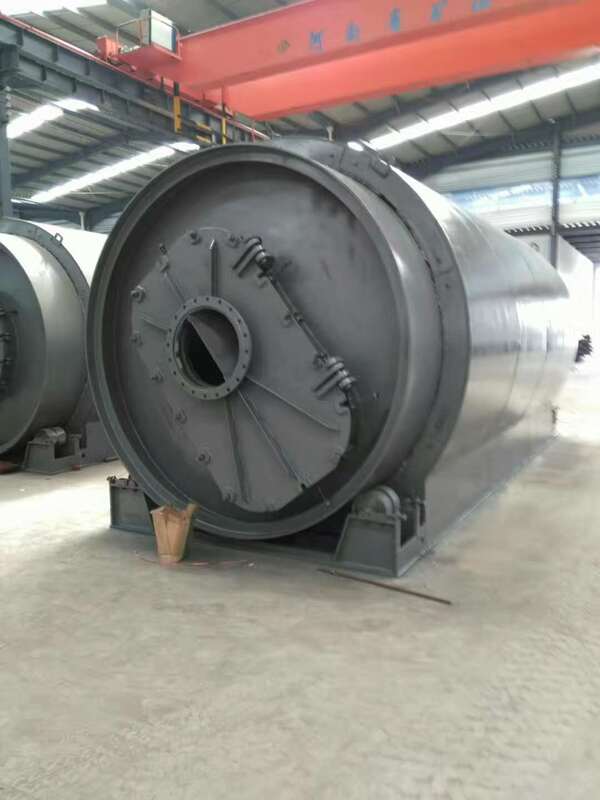 When the temperature reaches the degree of 250 to 280, we will get the crude oil, the oil steam will be continuous produced until the temperature reaches 350-460°C; oil steam will flow through oil gas separator, light component will enter the condensers and meanwhile the heavy oil will be discharged automatically into in heavy oil tank. 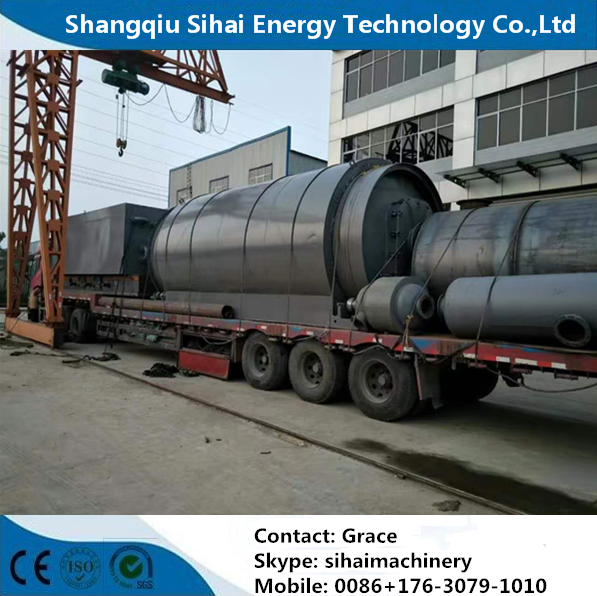 The liquefied part will be condensed as crude oil, and the part which cannot be liquefied will be transferred by the water seal back to the burning chamber to be reused as heating material. * can be sold directly as fuel. * can be sold directly. * can be refined by carbon black processing machine to make it finer (1500mesh finer). *can be sold directly as steel or iron. 4. 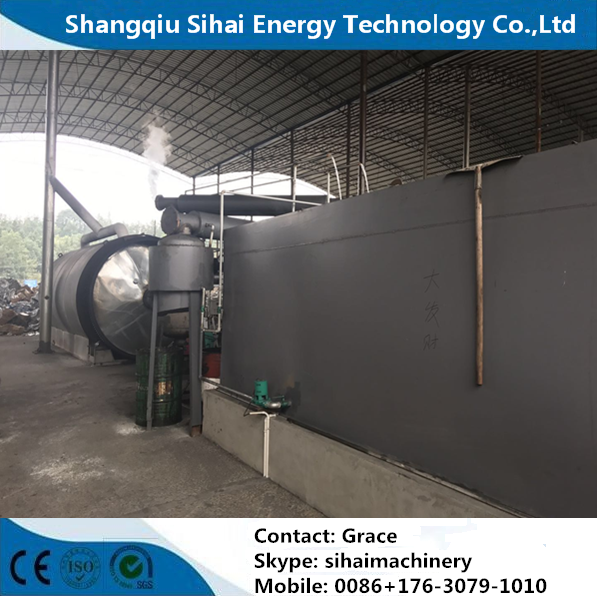 Installation: We will be in charge of arranging our engineer to go to your place to guide the installation and train your workers how to operate the waste tire processing by pyrolysis plant. 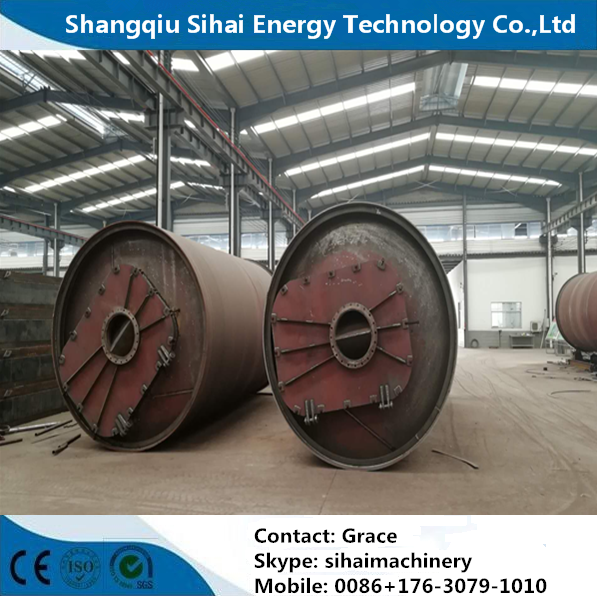 Looking for ideal Waste Tire Recycling Manufacturer & supplier ? We have a wide selection at great prices to help you get creative. 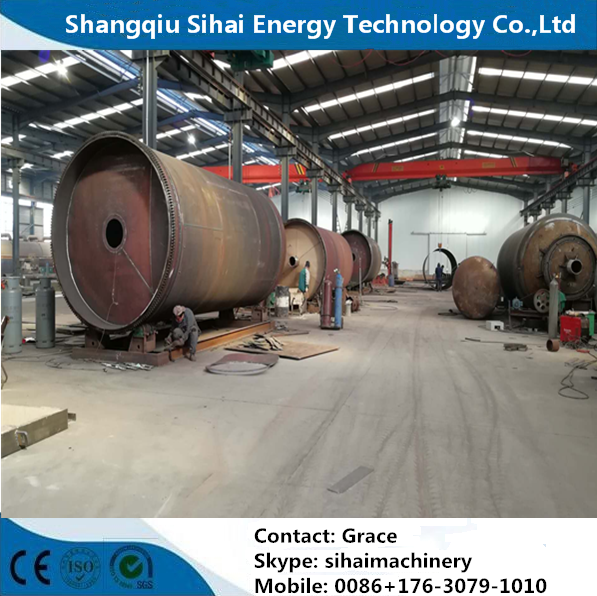 All the Tire Recycling to New Oil are quality guaranteed. 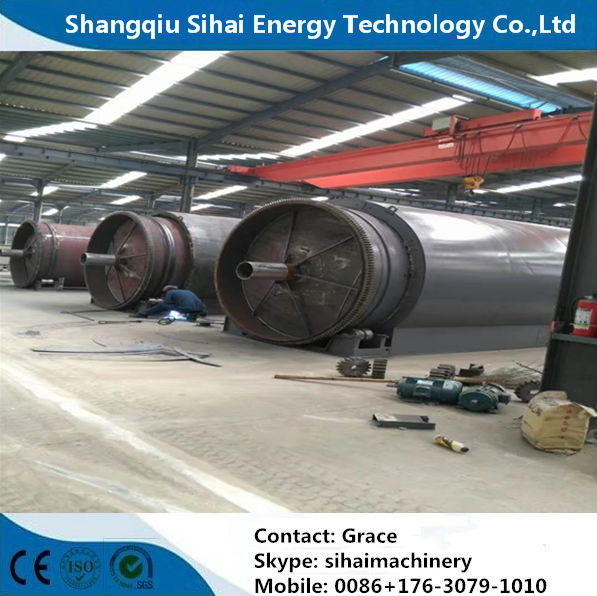 We are China Origin Factory of New Oil Machinery. If you have any question, please feel free to contact us. 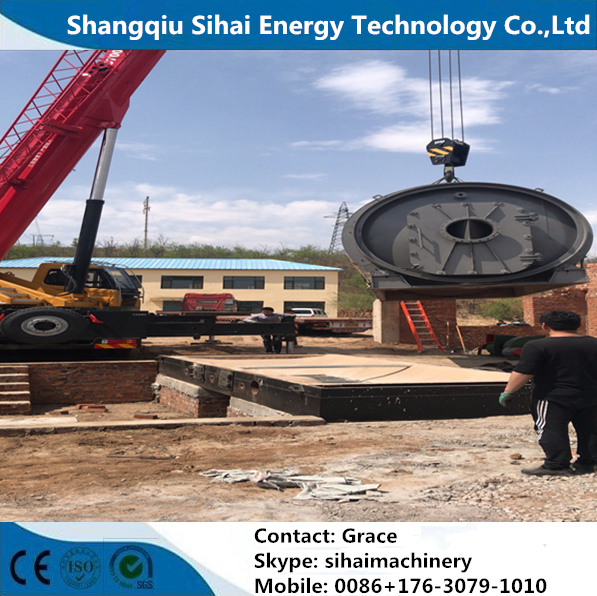 Copyright © 2019 Shangqiu Sihai Energy Technology Co., Ltd All rights reserved.